As the end of the year approaches, companies are feeling the pinch as many employees struggle with burn out. The good news is that new research shows that there is something that can be done about it. According to the latest study from the Top Employers Institute, certified Top Employers in South Africa have a lower than average absenteeism rate, with the five lowest averaging at just 1.5%. This is on a completely different scale to the rest of the country. According to Samantha Crous, the Top Employers Institute’s regional director for Africa & Benelux, nearly 50% of certified Top Employers in South Africa have a burnout recovery programme in place, and 79% have a stress management programme. “Furthermore, Top Employers comfortably exceed the legal minimum of leave days (15 annually), with the majority offering between 21 – 26 days on a sliding scale from support staff to executives, which allow employees ample recovery time to recharge,” points out Crous. At Nestlé, another Top Employer, the emphasis on employee wellness is paramount. “Our employment and working conditions support our ambitions of being a leading Nutrition Health and Wellness company,” says Employee Wellness Manager Vicky Jowitt. “Nestlé employees in Bryanston work in a building that is environmentally friendly with natural light, indigenous vegetation and pause areas to take regular breaks. In addition to more broad-spectrum wellness and work-life balance programmes, many of the top employers actively focus on ensuring that immune systems remain strong and that employees do not reach a stage where they cannot cope with their workloads. At Accenture, there’s an even more creative approach to managing loss of productivity by ensuring employees don’t waste company time on life admin – and that they don’t use precious downtime on it, either. Spokesperson for the company’s Total Rewards programme Kathy Pillay explains that the company has in place “a concierge driver service that will pick up and deliver dry cleaning, documents, post, et cetera for all employees, and an on-call PA 24-hours a day that will help source various products and services including travel packages, appliance prices, plumbers, et cetera.” There is also homework support for the children of employees. In terms of health, there are free wellness checks at least once a year and various disease management programmes are in place. Crous says that the success of these interventions can be measured by the lowered rate of absenteeism. “There are limited means of measuring the return on investment in an organisation’s work-life balance or wellness programme. But while productivity can be difficult to measure, absenteeism is difficult to overlook - it’s in black and white and it can be costly to companies,” she says. According to Forbes.com, the total annual cost of lost productivity due to absenteeism in the US is close to $84 billion. In South Africa, 3.96 million workers took sick leave during 2013, according to Moneyweb. This is up from 0.7 million in 2000, representing an increase of 466%. Nestlé certainly makes use of this principle. “Our gym and fitness activities, combined with our nutritional communication and healthy staff restaurant, all help to ensure that employees get an opportunity to take care of their personal wellness,” says Jowitt. 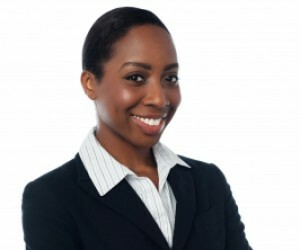 According to Elizabeth Scott, M.S., periods of intensely demanding work need not lead to burnout, but can in fact do the opposite if managed correctly – these “crunch times” can be invigorating and lead to increased energy and focus, provided there is a recovery period afterwards and sufficient compensation and recognition. Companies can therefore use stress to their advantage. Scott recommends “sprints”, where employees work hard and intensely on stimulating projects, alternating with periods of recognition and recovery.